An unmanned rocket by Elon Musk's SpaceX on a resupply mission to the International Space Station exploded Sunday just minutes after launch. 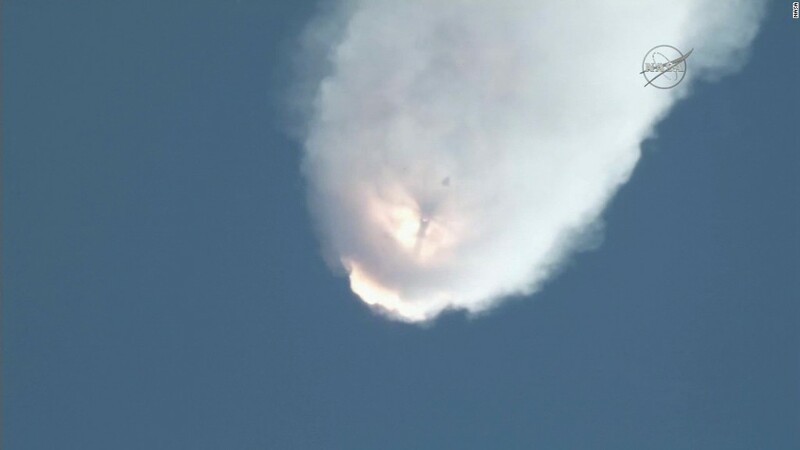 It wasn't clear what caused the rocket, named Falcon 9, to fail. SpaceX will conduct an investigation overseen by the Federal Aviation Administration. Sunday's flight was carrying more than 2 tons of goods, including 1,500 pounds of food and provisions for the crew. More cargo missions are planned this summer, including Russian flights on July 3 and July 22, and a Japanese launch on August 16. The next SpaceX flight is scheduled for September. Three space station astronauts, two Russians and NASA's Scott Kelly, had been awaiting SpaceX's shipment, which was meant to arrive on Tuesday. In a tweet from space Sunday afternoon, he said he watched the launch. "Space is hard," wrote Kelly, who is the brother-in-law of former Arizona Congresswoman Gabrielle Giffords. SpaceX -- which is headed by Musk -- has made seven trips to the ISS under a contract the company has with NASA, the latest of which was completed on May 21. It is the first company to complete a return trip to the space station, a feat previously achieved by only governments. "There were no commonalities, just the fact that it's space and it's difficult to go fly," said William Gerstenmaier, NASA's associate administrator for human exploration. Separately, one person died last fall -- just days after the Orbital Sciences incident -- when a craft developed by Virgin Galactic intended for eventual civilian passengers exploded during a flight over California. Sunday's launch from Cape Canaveral in Florida, in addition to resupplying the space station, was supposed to be the third attempt by SpaceX to recover the rocket that launches its spacecraft. SpaceX has made two previous attempts to land the first stage of its rocket -- once in January and again in April. Both attempts at landing failed. NASA's Gerstenmair said the failure of Sunday's mission does not necessarily affect that timeline. "We're going to keep moving forward," he said, adding that failures in cargo missions can help identify potential problems in spacecrafts with crews on board.